Healthy nutrition is an important part of leading a healthy lifestyle. In Combined with physical activity, your diet can assist you to reach and maintain a healthy weight, reduce your risk of chronic diseases (like heart disease and cancer), and promote your overall health. Patients undergoing cancer treatment may need a particular diet in order to maintain their stamina. For example, high-calorie foods may need to be consumed to maintain energy. Getting enough protein and calories in the diet can potentially help with long-term survival. Track 1-1 Hypertension: Salt intake affects blood pressure. Track 1-2Heart disease/high cholesterol: Fatty foods and partially hydrogenated oils can create plaque in arteries. Track 1-3Osteoporosis: Low vitamin D Low and calcium and excess fat can result in fragile bones. Track 1-4Certain cancers: A poor diet & obesity are associated with increased risk of breast, endometrial, esophageal, colon and kidney cancers. Genetics play an interesting role in body composition, particularly when it comes to body fat. Human body is designed to store fat in particular places, depending on gender, age, and of course, your family genes. Genes, will determine women will carry this body fat around the hips and thighs as opposed to storing fat in the upper body. Men, tend to carry fat in the abdomen but can also carry fat in other places; the storage of fat, regardless of gender, can play a significant role in influencing well being risks. Food packaging is packaging of food. A package is for protection, tampering resistance & distinctive physical, chemical & biological needs. It may include a nutrition facts label and other ingredient information about food or beverages being offered for sale. Nutritional Immunology is a field of scientific study that endeavour to understand how diet and nutrition influence the human immune system and its responses. For decades, people have known that the better they eat, the healthier they are. The science of Nutritional Immunology considers individual foods on a molecular level, and how they affect human health on a cellular level. Food processing is the transformation of agricultural products into nourished food, or one form of food into another forms. Food products change under certain food processing techniques and ways either to improve or to prevent them from happening. Food technology is a sub discipline of food science that deals with the production, Preservation & processes that make foods. Biotechnology is any technique which utilizes living organisms to make products, to improve plants or animals, or to develop microbes for specific uses. This definition covers the traditional procedures of animal husbandry, plant breeding and fermentation. 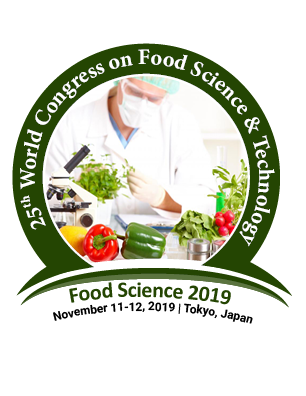 Food toxicology is the study of the nature, properties, effects and detection of poisonous or toxic substances in food. Radioactive particles, heavy metal elements, or the packing substances used in food processing are examples of such substances. Although you might know that eating certain foods can increase your heart disease risk, it's often difficult to change your eating habits. Because you have years of unhealthy eating habits under your belt or you simply wanted to fine-tune your diet, here are eight heart-healthy diet tips. Once you know which foods to eat greater amount and which foods to limit, you'll be on your way toward a heart-healthy diet. Fermentation is one of the techniques to preserve food and enhance its quality. Fermented food product is less affable to other harmful microorganisms, including spoilage-causing microorganisms & pathogens thus extending the food's shelf-life. Food Adulteration refers to the process by which the quality or the nature of a given food is reduced through expansion of adulterants or removal of vital substance. Food adulterants belong to the foreign and usually inferior chemical substance present in food that cause harm or is unwanted in the food. Dietetics is the branch of knowledge concerned about the diet and its effects on health. A dietitian alters their patient's nutrition based upon their health & medical condition and individual needs. Dietitians are directed healthcare professionals licensed to assess, diagnose, and treat nutritional problems. Infectious diseases account for more than 54% of total majority in developing countries, where immunizations are the most effective means of anticipation. Recycling of food and organic waste is a innovative idea that can produce both economic and environmental savings. This naturally productive, budget-friendly, environmental friendly disposal from Waste Management can benefit your company, your community and the environment. Molecular gastronomy is a sub discipline of food science that looks to investigate & explore the physical and chemical transformations of ingredients that occur in cooking. Approximately 300 additional calories are needed daily to maintain a healthy pregnancy. These calories should come from a proper diet of protein, fruits, vegetables, and whole grains, with sweets and fats kept to a minimum. The truth about nourishment is always in motion. Previously coffee was a carcinogen, the next it’s a effective antioxidant. Carbs used to be the harmful, now (the right kinds of carbs) are the staple of a well-balanced diet. Food has been a huge part of this technological takeover, with lots of inventions being created for both industry and home uses. A portion of these inventions are incredibly fun and cool to upgrade your own love of food at home. For home gardening, shopping, cooking these are some of the coolest inventions aiming to make your food experiences convenient, high-tech, and personal. Eating the right kinds of foods before, during, and after cancer treatment can enable patient feel better and stay stronger. A healthy diet incorporates eating and drinking enough of the foods and liquids that have important nutrients (vitamins, minerals, protein, carbohydrates, fat, and water) the body needs. Paediatric nourishment is the maintenance of a particular well-balanced diet consisting of the essential nutrients and the sufficient caloric intake necessary to promote growth and sustain the physiological requirements at the various stages of a child's development.